If you plan to move in a new house and if your favorite sofa or a chair get dirty when unloading the removal van – there is no need to struggle, you can get some truly amazing results with these quick an easy tips for reupholstering furniture. They are also the perfect tips to reupholster old objects and furnishings with already worn surfaces, which is a perfect idea for the renovation of the house. First, note the type of the furniture that you want to reupholster. A small lounge chair as a part of all the removal objects and furniture or a big old sofa for the dining room – the size of the objects play a major role for the upholstery type. You definitely want a thicker and stronger upholstery material to sustain the pressure in the middle of a large sofa, for example. By contrast, the small chairs in the dining room have a way smaller area to upholster. 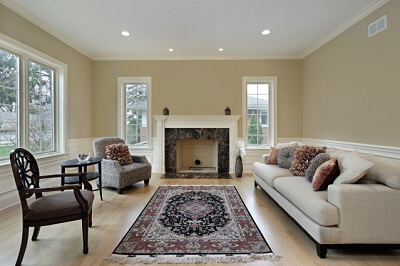 The color of the new upholstery is another major highlight when you want to achieve a great house renovation effect. Choose a completely different color from the old upholstery to make the old furniture like it really is a new one. The easiest way for reupholstering is to do it by yourself if you have the needed tools and upholstery materials. Just take the right measurements and cut the upholstery into equal pieces according to the different parts of the furniture. A quick cleaning of the old upholstery with the vacuuming machine should be more than enough to prepare the furniture for reupholstering. Apply the new upholstery piece by piece and nail it to the wooden frame of the furniture. The difficult way is to remove the old upholstery from the frame and then to reupholster the furniture. Or else, give your furniture for a custom-made upholstery, which will guarantee you the best results. The transportation of the big furniture might be a little bit difficult, but first try fitting it into a special removal box, which is the best way to protect your furniture in the car, in a professional removal van or even while handling it to the front door of the house. Another interesting tip is to add a few additional or complimentary objects to the newly reupholstered furniture. A couple of blankets attached to the armrests are a great hint, especially if they have a contrasting color. Or else, let’s take a couple of small decorative cushions with the same color and texture as the upholstery material. They will merge with the entire furniture and they will make it to look with a little bit stranger shapes or embossing patterns. The best thing is that the removal cushions are light and easy to place as a decoration for another cushion, chair or object with a completely different upholstery. The last tip in this list is to highlight the renovated upholstered objects with new lights. A couple of small mobile table lamps on the both sides of the sofa are a great way to create an appealing game of dark shaded areas and illuminated areas of the sofa – just perfect for a romantic ambiance at night. Or else, a couple of lights hanging on the wall behind the upholstered object should make a great combination with the natural light. Or else, let’s take the opt with a huge hanging lamp on the ceiling that washes light throughout the entire room – it can make a sofa or a chair to look like decorative parts of the walls and the walls to look like a part of the renovated furnishings. ← Roofing Guide: 6 Chimney Problems You’re Fixing Wrong!